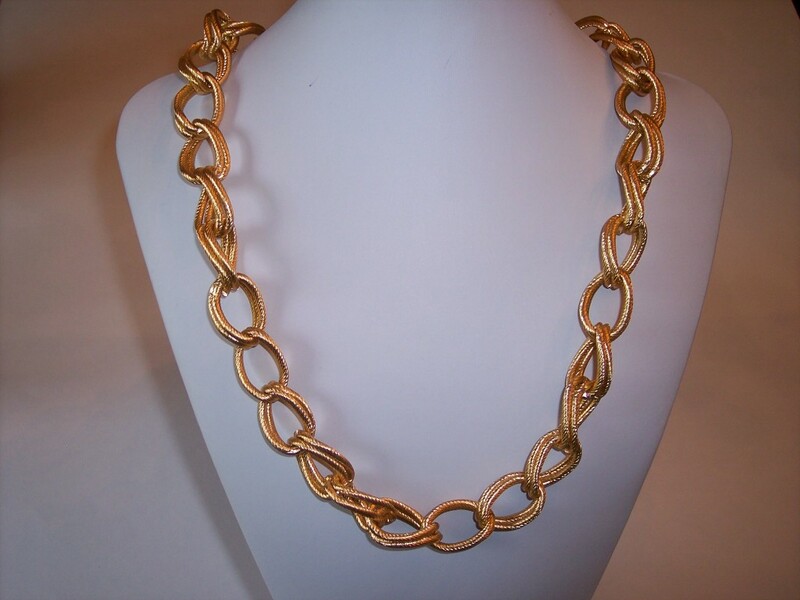 This fun chain necklace is handcrafted with large gold tone loops. 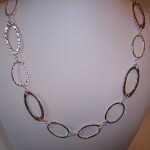 Each loop has a ribbed texture and is available in silver tone and gunmetal. 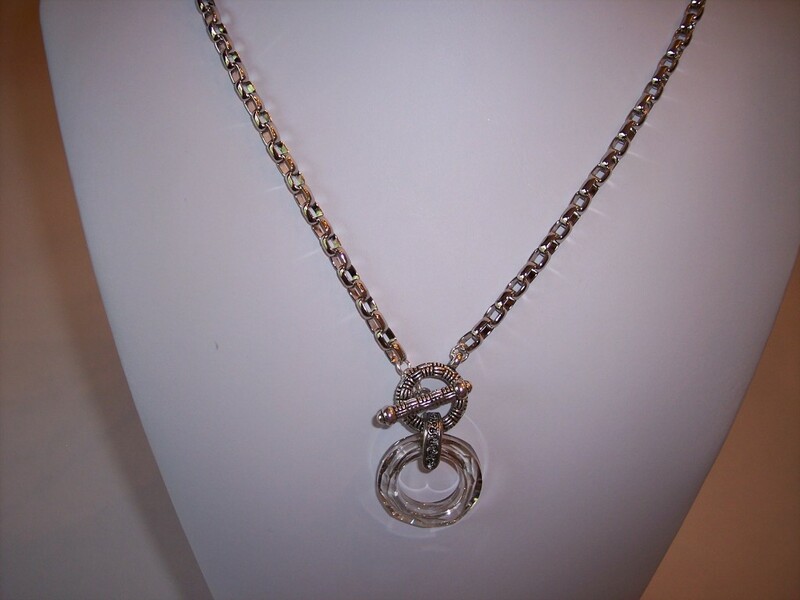 Length: 26″ Other lengths available upon request. 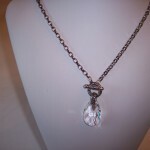 This necklace might look heavy but it is surprisingly light weight. 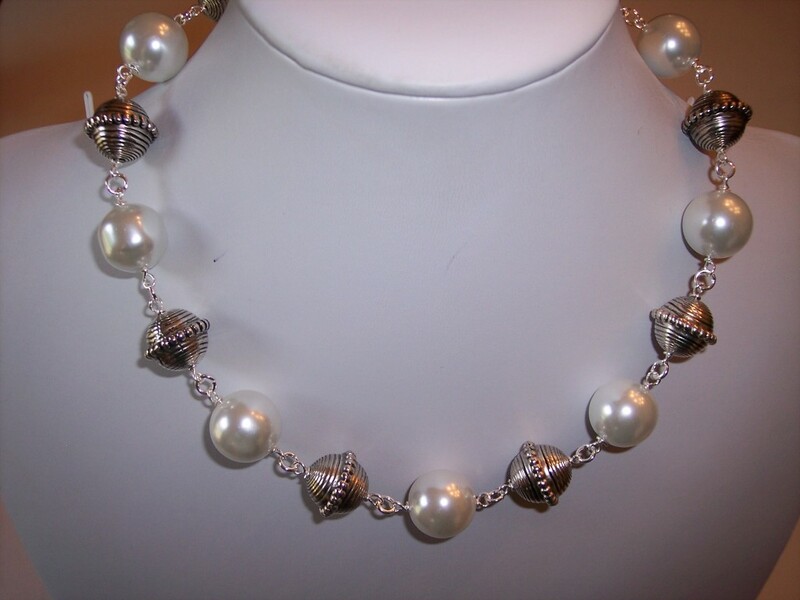 It is handcrafted with Faux Pearls and Spinning Top style balls. Length: 18″ Other lengths available upon request. 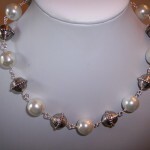 This front toggle style necklace is not only fashionable, but easy to hook! 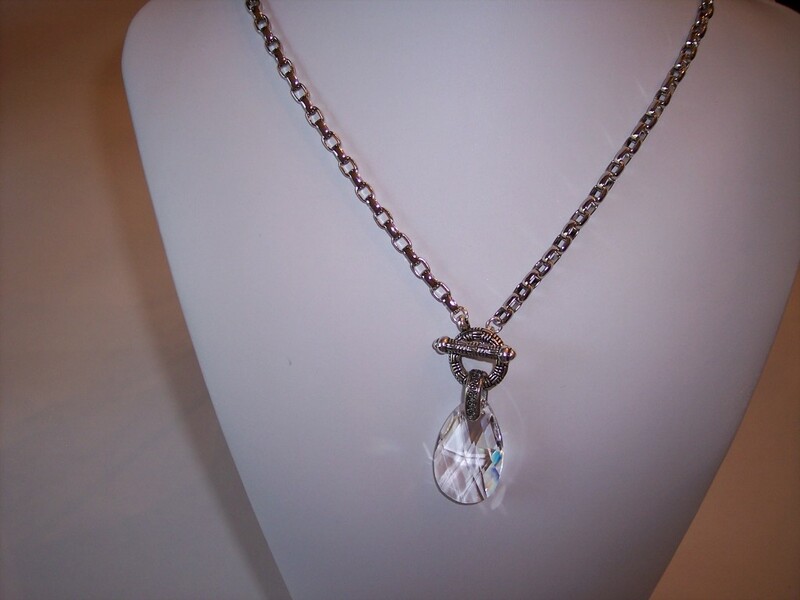 Designed with Platinum tone Rollo style chain and a pear shaped Clear Faceted Swarovski Crystal. 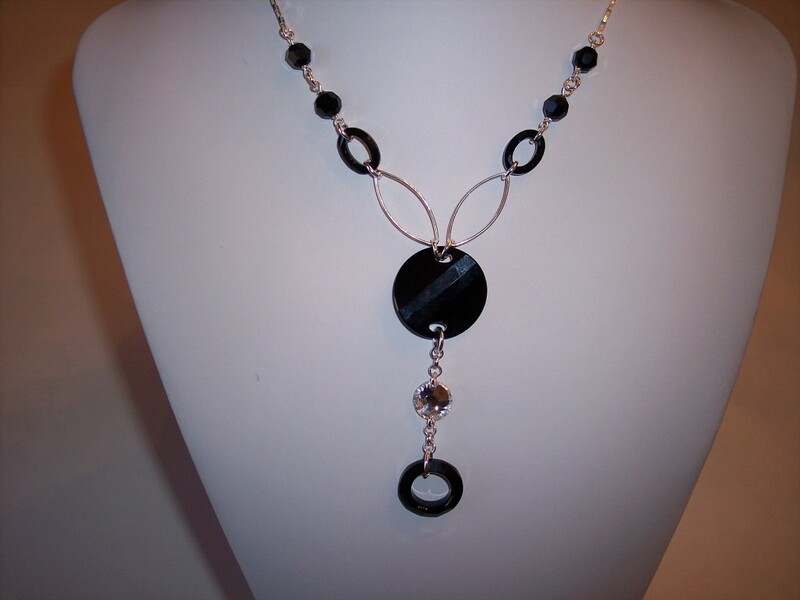 Length: 31″ Other lengths available upon request. 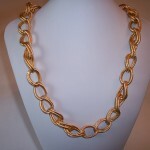 This simple chain is handcrafted with hammered oval silver tone links. Length: 22″ Other lengths available upon request. 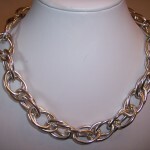 This double loop Aluminum Collar looks great alone or layered with a longer chain. 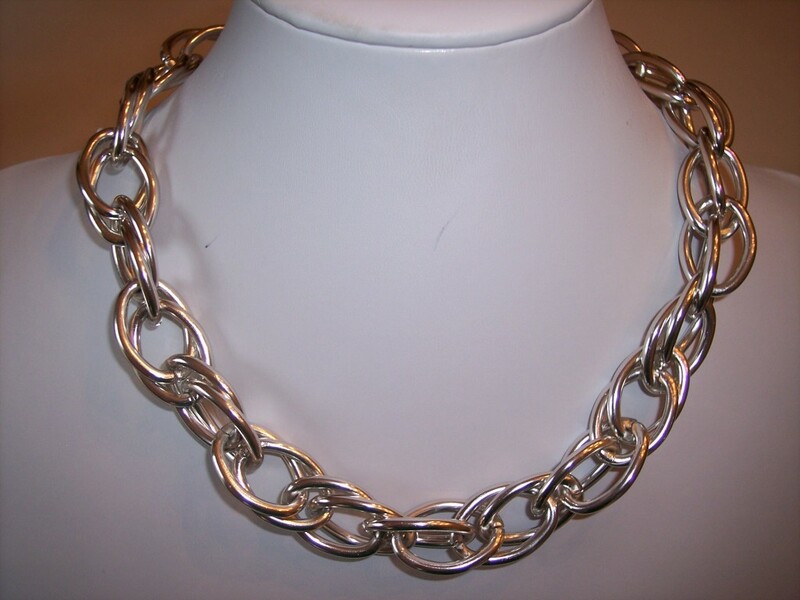 Also available in gunmetal aluminum. 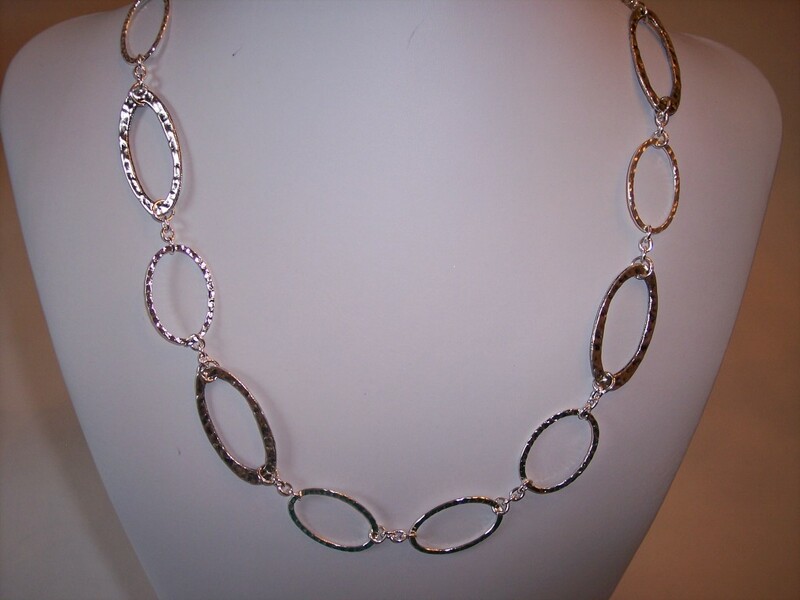 Length: 18″ Other lengths available upon request. 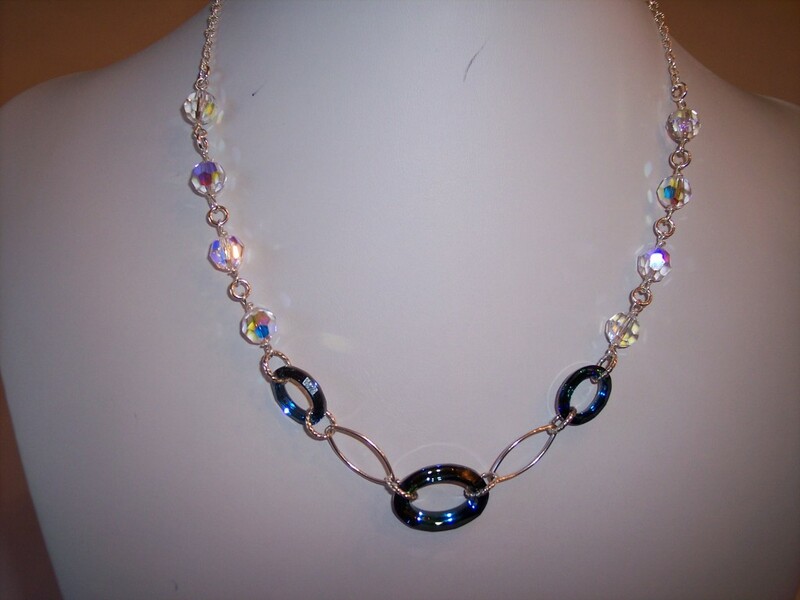 Handcrafted with Jet Black Swarovski Crystals and sterling silver marquis. Length: 18 1/2″. 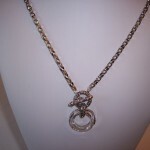 Other lengths available upon request. 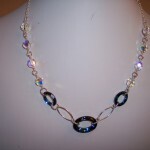 This delicate design includes all sterling silver metals and rich blue oval shaped Swarovski Crystals. Length: 18″ Other lengths available upon request.